Well, our country town’s Christmas pageant is over for another year. I played the part of a shepherd in the Nativity float, along with other shepherds, several real sheep and goats (easy to come by around here), three wise men, angels, people in tinsel carrying banners, and of course Mary, Joseph and Jesus. After reviewing the beard collection in our dress-ups box last week, I selected the brown loopy knitted beard to go with my costume. I got mistaken for a “young lad” in my shepherd’s gear. I can’t decide what I think about this -the “young” bit was good but the “lad” bit was definitely not! 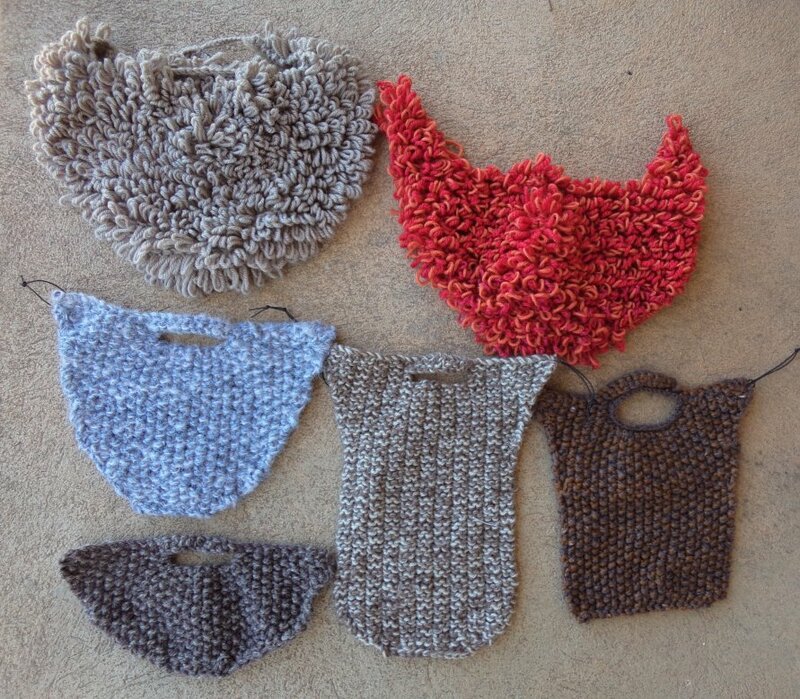 I took along the other five knitted beards in case anyone else wanted to wear one. 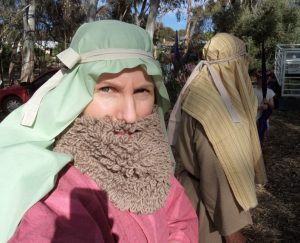 They got worn by the other shepherds who didn’t have real beards and were all good sports!